You may know that as a Business Partner of the Buy 1 Give 1 (B1G1) organisation we give to those in need as part of our everyday business. i.e. A client buys X from us and a portion of the revenue goes to a worthy cause. Always. This creates a fantastic Win – Win – Win. Our client wins because they feel great knowing that they are helping to support those in need. We feel great, because we get to do this through our clients patronage, every day of the week! But most importantly, many people around the World who need our help, come out Winners too. 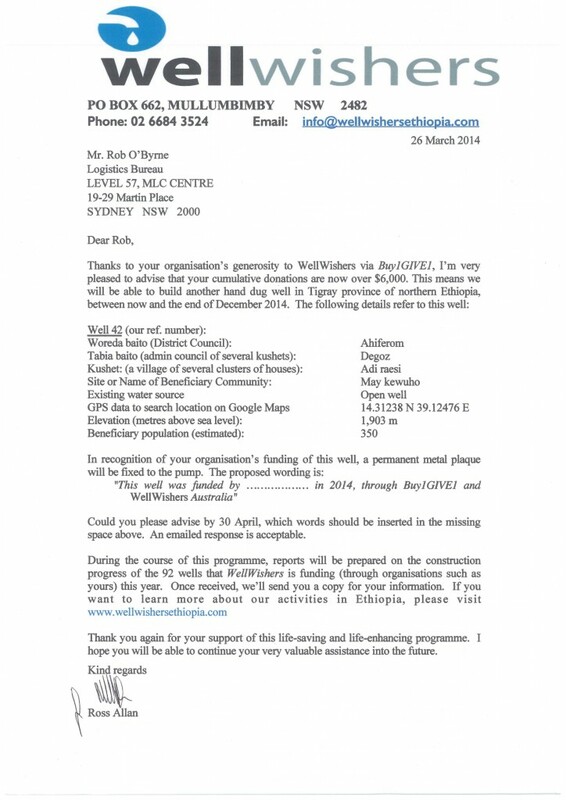 One of the worthy causes we like to support is Australia based and called Well Wishers. I received a wonderful letter from them today and thought it worth sharing.